Pune-based Ntex Transportation Services Pvt. Ltd, which runs logistics startup ElasticRun, has raised close to Rs 60 crore ($8 million) in a fresh funding round, two people directly in the know told TechCircle. Existing investors Norwest Venture Partners and Kalaari Capital co-led the round, one of the two persons mentioned above said. The other person said that the three-year-old startup raised this sum at an estimated post-money valuation of $60-65 million (Rs 442-479 crore). It is unclear whether the current capital raise was part of a larger funding round. In May this year, media reports had mentioned that ElasticRun was in talks with several investors including Sequoia Capital to raise money. E-mail queries sent to ElasticRun’s co-founders Saurabh Nigam and Shitiz Bansal, Norwest Venture Partners and Kalaari Capital did not elicit a response at the time of publishing this report. In April last year, the startup had raised $7 million (Rs 45.5 crore then) as part of a Series A round from Kalaari Capital and Norwest Venture Partners. The venture was founded in March 2016 by Nigam (chief operating officer), Bansal (chief technology officer) and Sandeep Deshmukh (chief executive). Nigam, a civil engineering graduate from the Delhi College of Engineering (DCE), had earlier worked with digital IT solutions firm EdgeVerve and software services major Infosys in various engineering and programme management roles. Bansal has had extensive experience as a technology architect for several shipping platforms of DHL after passing out from IIT-BHU. He also had a 13-year stint at Infosys. Deshmukh, an alumnus of IIM-Ahmedabad, had stints at e-commerce major Amazon, iPhone maker Apple and logistics company DHL before starting up. ElasticRun, which uses technology for transportation and supply chain operations, runs an asset-light, variable-capacity logistics network. The company’s technology platform can build aggregated transportation capacity in tune with the requirements of its varied clientele. By aggregating resources across channels, the startup eliminates fixed set up costs, thus helping its customers reduce logistics spending. The company caters to clients in e-commerce, pharmaceuticals, food and automotive sectors. The company currently operates in stealth mode as it is yet launch a website. In the financial year 2016-17, its operational revenues rose to a whopping Rs 9.13 crore, from Rs 65,688 in the previous year, according to data available with VCCEdge, the data and research platform of News Corp VCCircle. Gross expenditures too saw a nearly 40-fold rise at Rs 16.9 crore, up from Rs 43.85 lakh in the previous year, primarily on account of a rise in employee-related expenses. Consequently, net losses widened to Rs 7.39 crore, up from Rs 40 lakh the previous year. A number of companies in the broader logistics space have recently raised funding. On Thursday, VCCircle reported that the former India head of Germany’s Deutsche Post DHL Group set up a logistics company and acquired a majority stake in a Kolkata-based firm to kick-start operations. Earlier this week, tech logistics firm GoBolt raised Rs 40 crore ($5.5 million) in a Series A round from social-impact investment group Aavishkaar-Intellecap. Last month, logistics company Connect India E-commerce Services Pvt. Ltd raised fresh capital from angel investors. In the same month, International Finance Corporation (IFC), the private-sector investment arm of the World Bank, had disclosed that it will invest in Bengaluru-based logistics startup Shadowfax Technologies Pvt. Ltd. Prior to that, in August, Shadowfax had raised $22 million (Rs 151 crore) in its Series C round of funding led by US-based investment firm NGP Capital. 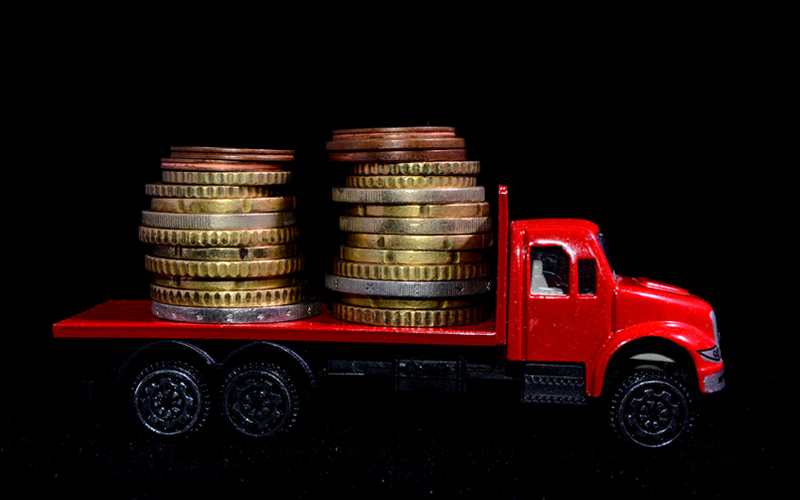 Other logistics firms such as WheelsEye and TransportEG also raised capital in the month of August. A TechCircle analysis of the tech-enabled logistics space revealed that players have experimented with their business models and have undergone course correction to arrive at a stable phase currently. Though there a number of clear leaders in the space, achieving scale is the next step for companies in the sector.